The Abdications of Bayonne is the name given to a series of forced abdications of the Kings of Spain in favour of Napoleon Bonaparte after the Aranjuez Mutiny in 1808. Charles IV was forced to abdicate and his son Ferdinand VII began to rule. 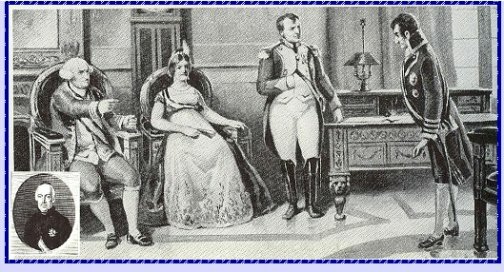 However, they asked for help and Napoleon Bonaparte took advantage of the situation to force the Abdications. Therefore Ferdinand gave back the dynastic rights to his father, Charles IV who abdicated in favour of Napoleon. 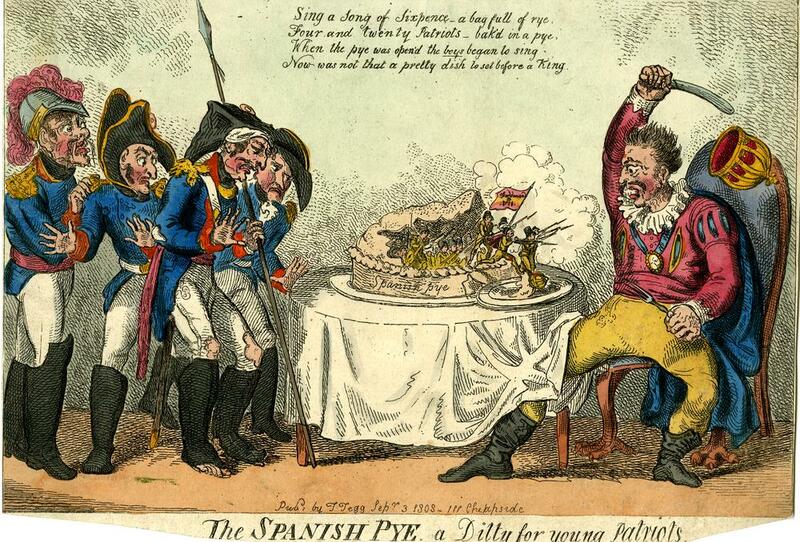 Napoleon’s designation of his brother Jospeh as King of Spain was rejected by Spanish people and led to the Peninsular War. Spanish Bourbon males remained prisoners in France until 1813 when the Peninsular War ended and were released by Napoleon. Joseph I ruled Spain from 1808 to 1813. Before he was king of Naples, where he was popular, and arrived in Spain where he was very unpopular Joseph´s opponents in Spain tried to smear his reputation by calling him Pepe Botella (Joe Bottle) for his alleged heavy drinking, an accusation complete false as Joseph was abstemious. He implemented the Bayonne Statue which proposed some changes in Spanish monarchy. It was an imposed chart which granted him executive power as well as the initiative to propose laws. Prisoners were granted some rights. The patriots rejected Joseph I´s ruling. This was the larger group which defended Ferdinand VII legitimacy in a conservative way and it also included liberals who wanted the end of the Old Regime and the need of constitution.